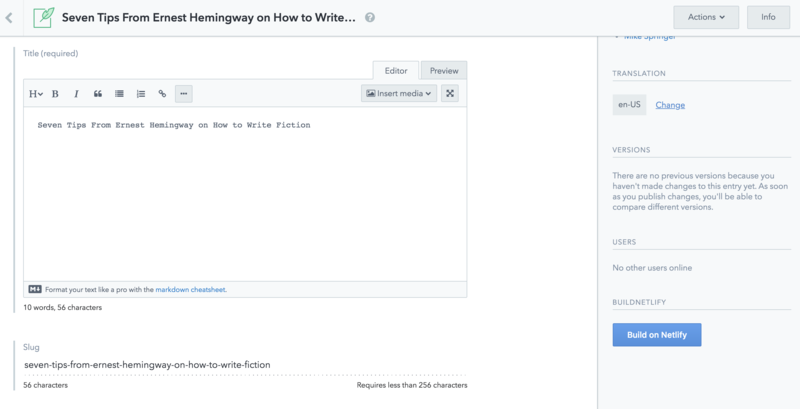 This Sidebar Extension shows how to use Netlify API so you could trigger Netlify builds manually while editing content. This is an alternative approach to using a webhook to trigger a build. The advantage is that the editor gets control on when a build is executed instead of responding to automatic events such as Entry.publish. 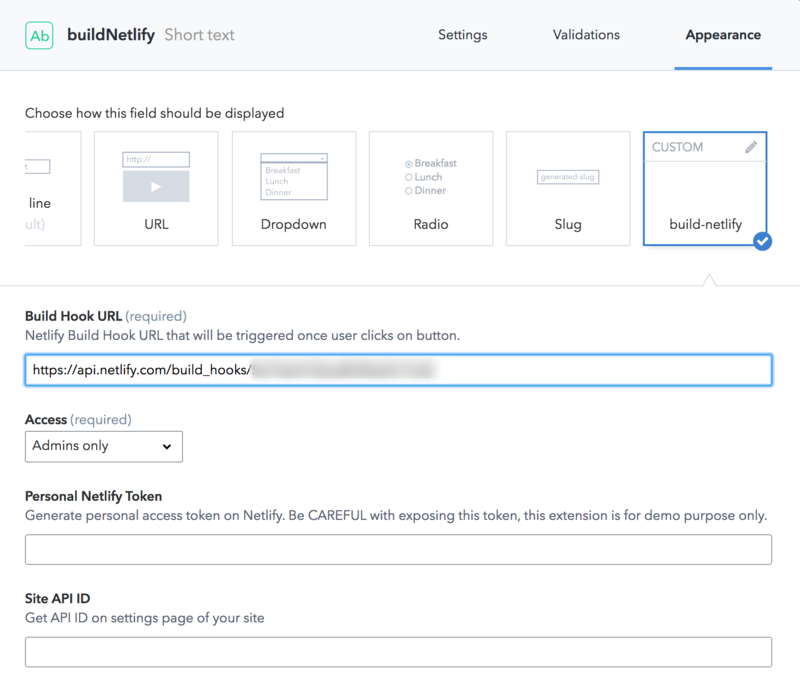 Get Build URL on Netlify. Get the API ID of your site in Site Details. IMPORTANT: In a real world application the token should be kept secret. A good approach would be to wrap the token on a Netlify Function or host the entire UI Extensions 3rd party so the server can handle the secret API token properly. 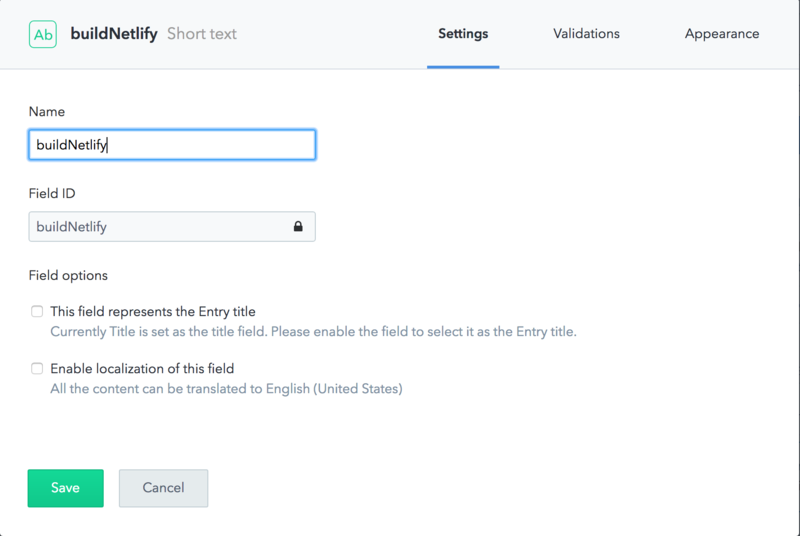 Go to Content model and create new field. Go to Appearance tab and provide all required information. Now while editing, the editor can click the new button in the sidebar to manually trigger a new build on Netlify.